Whether you're a wine connoisseur or you crave the taste of a hand-crafted brew, Kalamazoo won't disappoint. 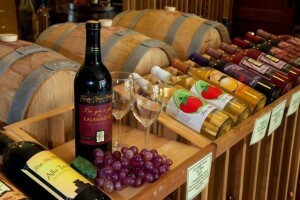 Take a stroll through our local vineyards and sample flavorful, award-winning wines and juices. You can even concoct a vintage that is uniquely your own and design the perfect label for your new creation. If you're a fan of all things beer, introduce your friends to a host of specialty brews which enjoy a cult-like following across the U.S. or bring back a childhood memory with the creamy taste of homemade root beer on a hot summer day.